It was a great summer night in Lawrence, Mass.—a bright spot for a city that needs some good things happening and some good publicity. Like most shows in New England, people may have attended the show to see drum corps, for a reunion and the chance to reminisce about their glory days, or both, and since Boston Crusaders hosted the show, the glory days could have been as far back as the '40s or as recent as 2010. The Blue Devils and Cadets made the evening interesting and we were probably evenly divided as to who would win (it was Blue Devils, they'd only beat them once more in 2011). 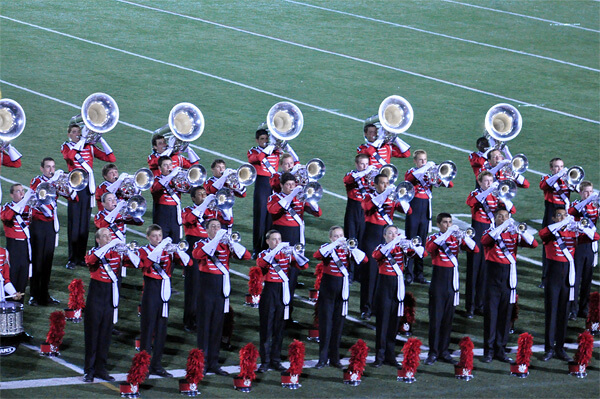 While the show was great, the highlight came after the scores were announced, BAC went back on the field, took off their shakos and gave a great concert, which included "Bring Him Home" and of course, "Conquest."